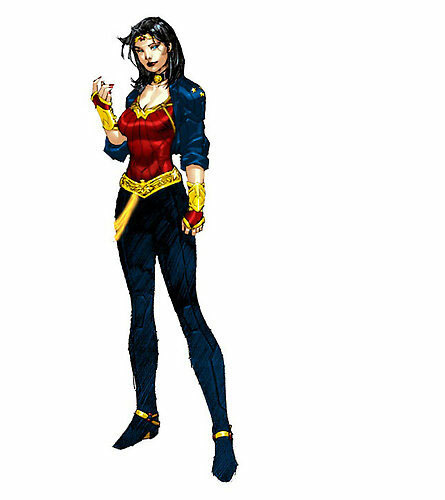 J. Michael Straczynski, the new writer of the Wonder Woman series, has given the character a new look. She now wears pants and a jacket. WTF? Look, I get that the skanky gear that Superheroes wear isn’t exactly practical, but it’s all part of the fun. Straczynski said that women questioned him as to how Wonder Woman could be taken seriously as a warrior if she’s fighting in clothes that would easily have something pop out. Well those women weren’t comic book fans! I guarantee it! Keep my male and female heroes in ridiculous spandex! Especially with an outfit like Wonder Woman’s, which is so iconic. This is a terrible decision in my book. Thoughts?